"We should call our surfaces 3D Laminates to highlight the benefit of seamless edges"
DACKOR 3D Laminates offer a surface that is seamless, durable and affordable. Formability. 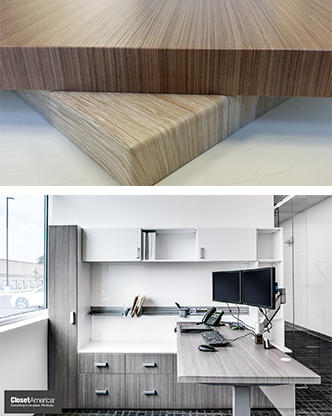 Unlike traditional laminates, which are mostly limited to flat surfaces, Dackor 3DL forms over the edge, into routered crevices and grooves which creates more visually appealing components. Durability. Dackor 3D Laminates have great impact resistance. Furthermore, The RhinoHz line of materials is extra durable to withstand everyday wear and tear. Budget Friendly / Value-Engineered. A standard component with 3D Laminates will price the same or less than one with traditional laminates such as HPL. Protects & Prevents. 3D Laminates seamless front edges protects components from water, which helps prevent collection of bacteria and mold. 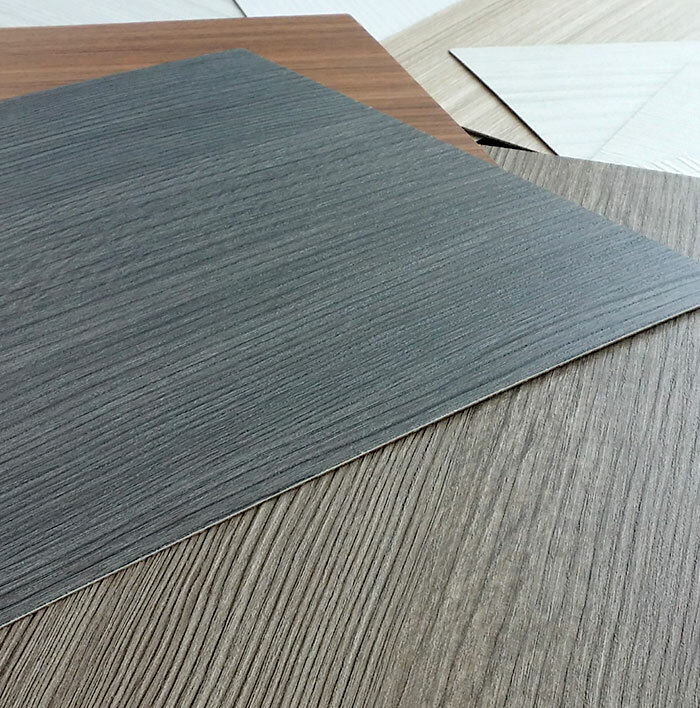 3D Laminates are not as rigid as HPL sheets which allows for greater impact resistance. Hundreds of Design Options. We offer an unmatched selection of 3D Laminates to give you design flexibility. 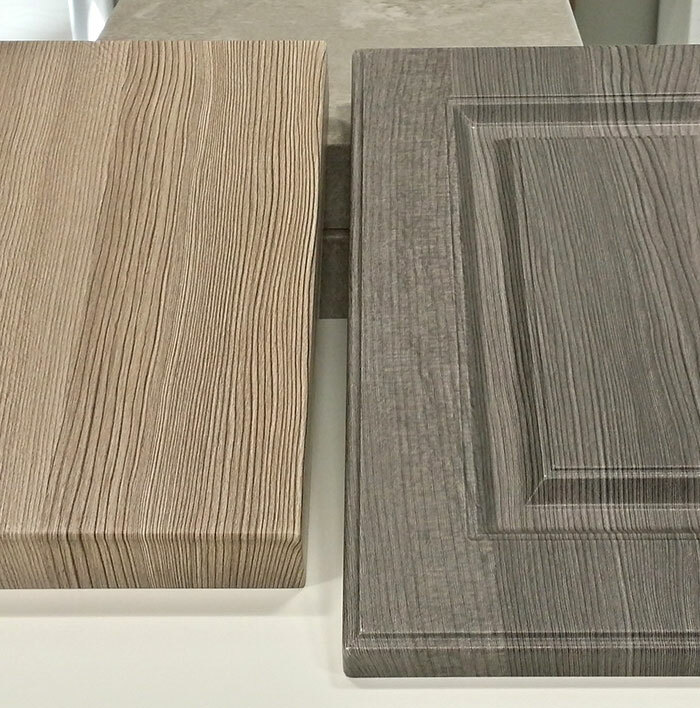 3D Laminates also allows you to be creative when choosing shapes and designs, from slab cabinet doors to wavy panels, for your design project. 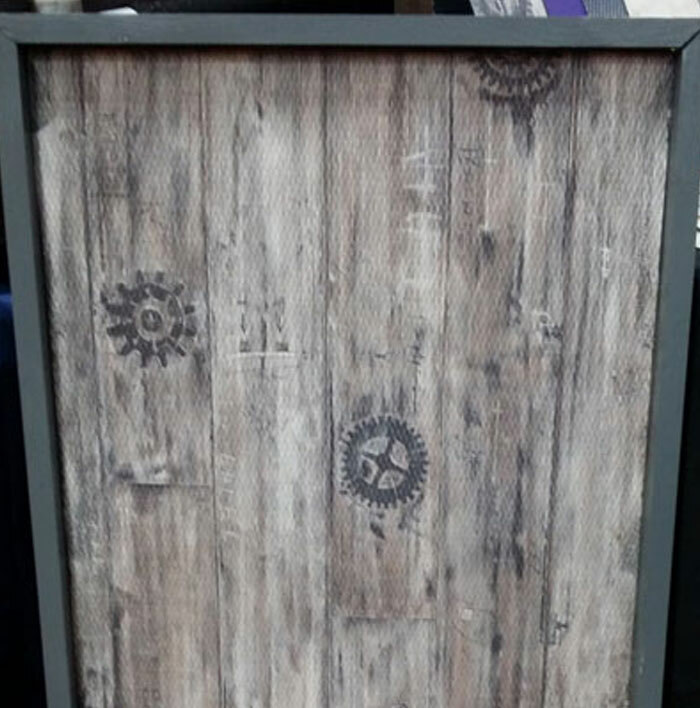 "Behind every Dackor 3D Laminate holds a powerful capability..."
Dackor 3D Laminates are a unique type of laminate that can form over routered MDF panels, essentially taking on the shape & form of the MDF component it is being pressed onto. This capability is essential for cabinet doors, countertops, retail displays, and wall panels. 3D Laminates can bend and act as the seamless bridge in a miter folded component. Miter folding can create the illusion of thick surface countertops, shelving, or boxes. You can also create seamless square components such as table legs & columns. 3D Laminate is supplied to manufacturers as a roll, which makes it a perfect product for flat lamination onto panels and other flat surfaces. 3D Laminates have great adhesion properties which can allow flat lamination to multiple surfaces including foam and metal. A profile wrapper is a long machine with vinyl rollers that are adjusted to force the 3D Laminate into numerous profile details. This process is used for all types of molding: Base, Crown, and Scribe Moldings, Stiles & Rails, etc. 170+ colors in Dackor’s collection can also be converted into Rigid Backed laminate sheets, which are similar to HPL. Laminate sheets allow for Dackor colors to be cut, fabricated and specified like you would a traditional HPL. 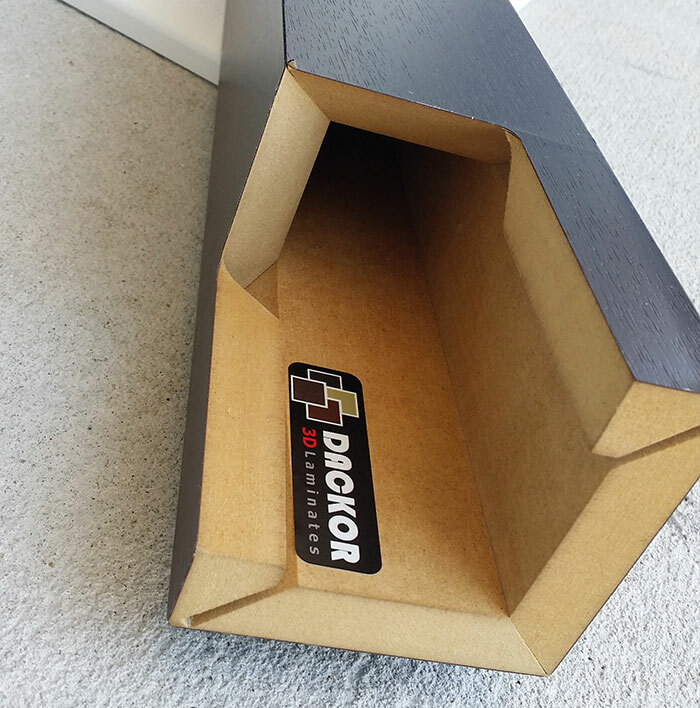 Dackor 3D Laminates can be flat laminated onto sheet metal, which can then be bent, formed, punched, routered and more, opening up a world of possibilities for sheet metal fixture specifiers and manufacturers.